Description: A fresh, calming and uplifting citrus scent. Packaged in a high quality, beautiful cobalt blue/dark glass bottle to keep the product optimally therapeutic and safe of any plastic residue from plastic bottles. Directions: Use on skin to soften &and gently scent & moisturize. Can also be used to spot treat dry feet and elbows. Can be used as a bath & body oil or apply a small amount to damp skin after a shower. 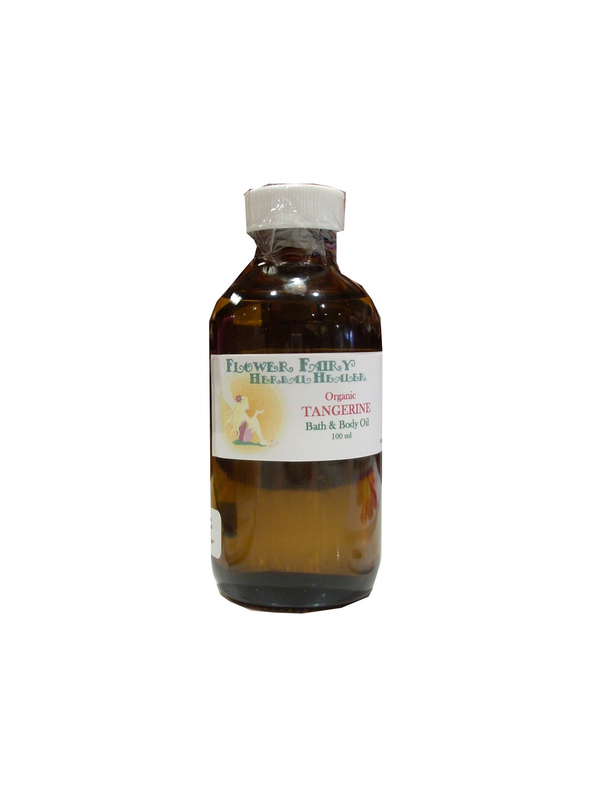 It is excellent therapeutic massage oil, used by many professional massage therapy clinics. Ingredients: Cold-pressed Sunflower Seed oil, 100% pure, natural, organic essential oil of Tangerine or Manderine or Orange, Vanilla, 400 IU Natural Vitamin E Oil & Jojoba Oil. (Can be used after the 5th month of pregnancy with doctor's approval for massage but dilute with more olive or grape seed oil). The citrus can make you more sun-sensitive, please avoid using this in the sun.